There could be one more boxing superfight soon! At least Nick Diaz believes that! “El Diablo” didn’t like the fact that Canelo Alvarez signed monster $365 million dollar deal with DAZN. He’ll fight always dangerous WBA Super Middleweight champion Rocky Fielding in December. It is also Canelo’s first match in the 168-pound division. Nick Diaz is focused on his Octagon return at the moment. Yet, he would agree to fight in the boxing ring too. But only for a huge amount of money of course! Nick Diaz is a real mascot in the world of mixed martial arts! He hasn’t fought since the fight versus Anderson Silva back at UFC 183, on January 31, 2015. Yet, his creative callouts are still music to many ears! Even Nick’s last UFC match was overturned to no contest. Anderson Silva was positive on drostanolone and androsterone. Despite previous suspensions, Nick Diaz remained loyal to marijuana. 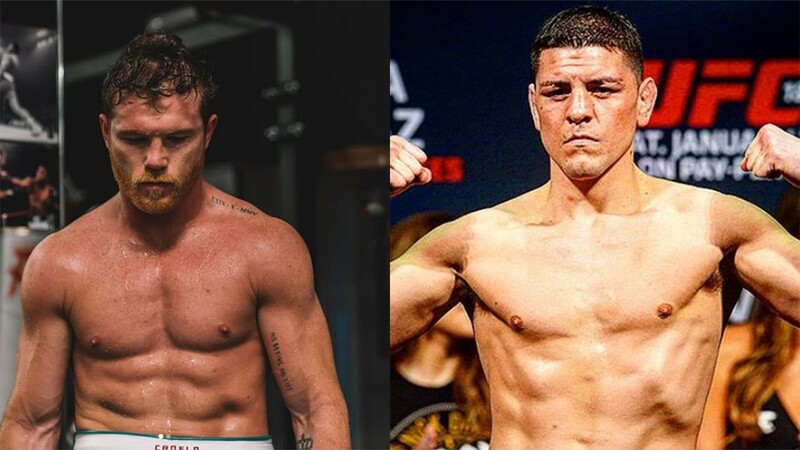 It is hard to believe Nick Diaz will ever get a chance to fight Canelo Alvarez. But this epic trolling might make millions of fans laugh! What do you think of this? Did Nick make your day?